The “State of Pipeline Marketing 2017” report won’t be released until next Wednesday, August 16, but the LinkedIn Marketing blog has an exclusive preview of the findings, which we’ll share in this post. The report delves into some of the biggest trends in B2B marketing, which include pipeline marketing, content marketing, account-based marketing, marketing measurement and attribution, and sales and marketing alignment. (In addition to the report, Bizible will also conduct a webinar next Wednesday on the findings). For the report — which was produced by Bizible, Heinz Marketing, LinkedIn, Radius, and Uberflip — more than 350 marketers were surveyed. More than 90% of the respondents are B2B marketers, and almost 50% are in the Internet, software, and technology sector. Almost six in 10 respondents are directors, VPs, or C-level executives. 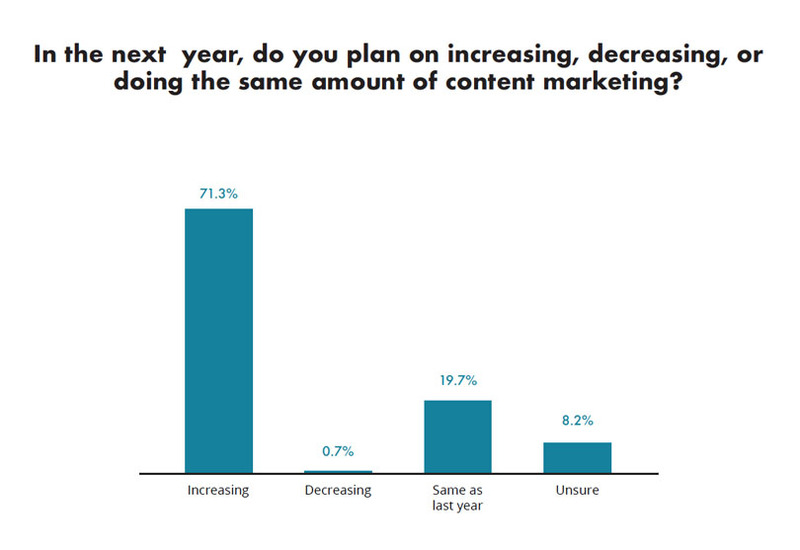 Content marketing continues to be a growing force with 91% of respondents saying the either planned to increase spending on content marketing (71.3%) or hold their spending steady (19.7%) in the next year. In the survey, marketers identified content marketing as delivering the second most positive impact on revenue (behind word-of-mouth/referrals). 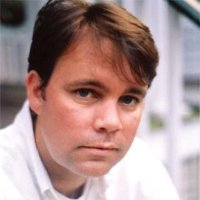 Content marketing is also the third most frequently used channel (behind email marketing and social media). 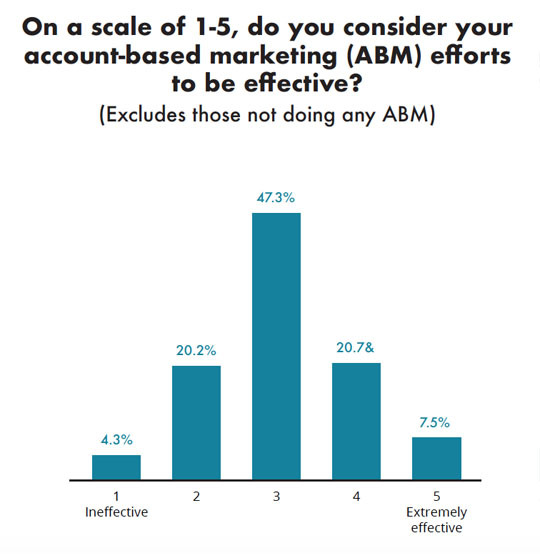 The State of Pipeline Marketing report finds that marketers are struggling to find the right path with measurement and attribution. More than one in four marketers (28.1%) use no attribution system at all, while 40.9% use a one-touch attribution approach and just 29.2% use a multi-touch attribution system. 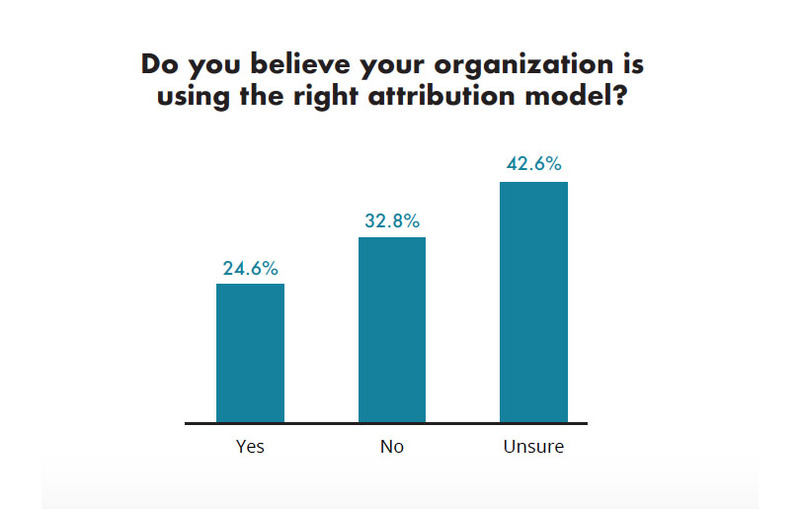 More than three in four marketers said they were either unsure they were using right attribution approach (42.6%) or convinced they were using the wrong one (32.8%). At the same time, marketers said the ROI they were producing was fairly strong with 35.7% reporting ROI of 2x or more. Pipeline marketing is an approach that measures success by revenue driven and influenced by marketing — not leads produced by marketing. The survey found that marketers using revenue to plan and measure performance were more effective: They were more confident they would hit their revenue goals, more aligned with their company’s broader goals, and more likely to use an attribution model than other respondents. 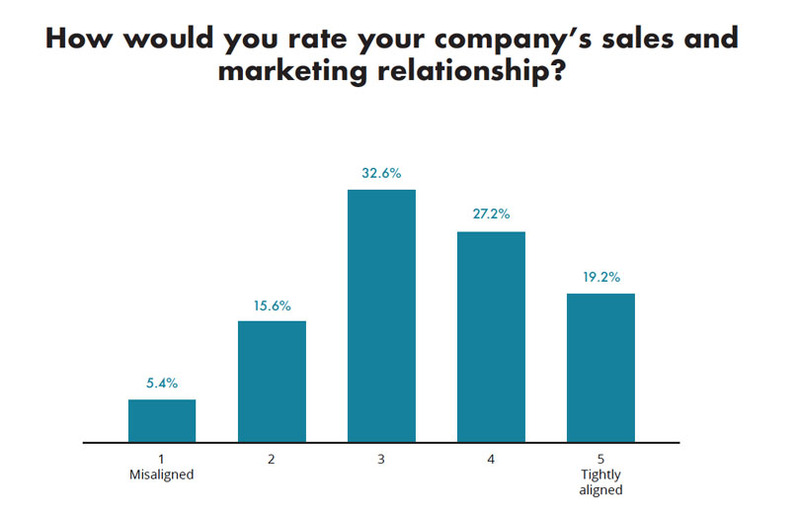 Despite the reputation for sales and marketing departments not getting along, the survey indicated that sales and marketing are more likely to be aligned than not. On a scale of 1-5, with 5 being “tightly aligned” and 1 being “misaligned,” 46.4% of marketers gave their sales-marketing alignment either a 4 or a 5, while just 21% rated their alignment as a 1 or a 2.